The more impersonal and disconnected our world becomes, the more you'll want to turn to Father Tim's serene prayers, encouraging sermons, and inspirational thoughts! 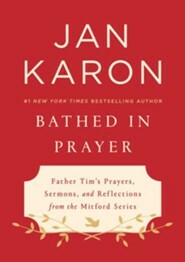 Drawing from her novels about small-town Mitford, Karon offers wisdom from the beloved priest to encourage your heart and soul. 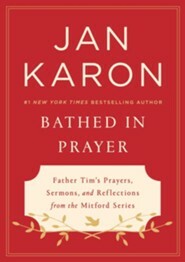 Includes an essay from Karon about her personal faith journey. 226 pages, hardcover from Putnam. 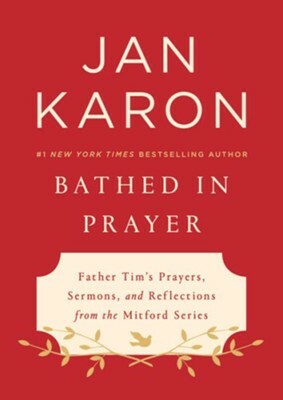 I'm the author/artist and I want to review Bathed in Prayer: Father Tim's Prayers, Sermons, and Reflections from the Mitford Series.